Rental cars in Lake Charles LA are very easy to find especially if you are arriving at the Lake Charles Regional Airport. The airport has more than one option when it comes to ground transportation, which includes not only rental cars but also limousine and taxi services. Of course, if you want to have your own transportation to see the sights on your own, then rental cars in Lake Charles LA is the way to go. 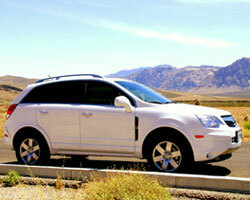 The easiest way to obtain reserved rental cars in Lake Charles LA is to visit the appropriate agency at their counter. The Lake Charles Regional Airport has six major companies right in terminal. These include Alamo (1-888-826-6893), Avis (337-477-9374), Budget (337-477-7991), Hertz (337-477-0616), National (337-478-0083), and Enterprise (337-479-2447). On the other hand, you may also need to know other locations around the city for rental cars in Lake Charles LA as you may wish to drop off the vehicle at a different location or you are not arriving by air and do not want to visit the airport. The good news is that you can find other locations for your rental car needs. Enterprise and Budget both have off airport terminal locations as well as one other rental car agency in the city. The following price comparisons are for picking up and returning rental cars in Lake Charles LA at the airport. Rates are for weekly car rentals. Alamo offers rental cars in Lake Charles LA at the airport including deals such as a Mid-Size Car for $188.59, Full-Size Car for $198.49, Standard SUV for $265.80, Mini Van for $303.43, Compact Car for $168.78, Standard Car for $198.49, and an Economy Car for $168.78. Avis offers a standard car for $204.99, mid-size car for $194.99, compact for $174.99, economy car for $174.99, full size car for $204.99, mini van for $389.99, premium car for $249.99, standard SUV for $347.99, and midsize SUV for $315.99. Budget has rental cars in lake Charles LA at the airport like a mini van for $304.99, Standard SUV for $266.99, full size van for $414.99, standard car for $198.99, midsize SUV for $256.99, compact car for $168.99, economy for $168.99, full size car for $198.99, midsize car for $188.99, premium car for $239.99. Enterprise offers a standard car for $198.94, midsize car for $189.04, compact car for $169.19, economy car for $169.18, and full size car for $198.96. Hertz offers rental cars in Lake Charles LA at the airport including a midsize car for $211.49, compact for $206.49, standard car for $216.49, full size car for $222.49, midsize SUV for $243.49, and an economy car $200.49. National has a full size car for $205.19, midsize car for $195.29, compact for $175.49, standard car for $201.22, mini van for $332.27, standard SUV for $346.76, and an economy car for $175.49.